Accurate, reliable, fast and affordable chip timing for your event! DB Max Sports Timing use chip timing systems that are suitable to your needs as an event organiser and provide real-time, instant results for your race. 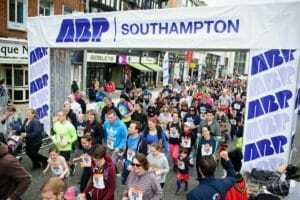 We specialise in chip timing triathlons, duathlons, sportives, bike races and running events. Results screen and individual print outs available at the finish line. Live to Web results with leaderboard tracking available during the race and social media and certificate features. Commentary laptop for race commentator (with optional PA system). 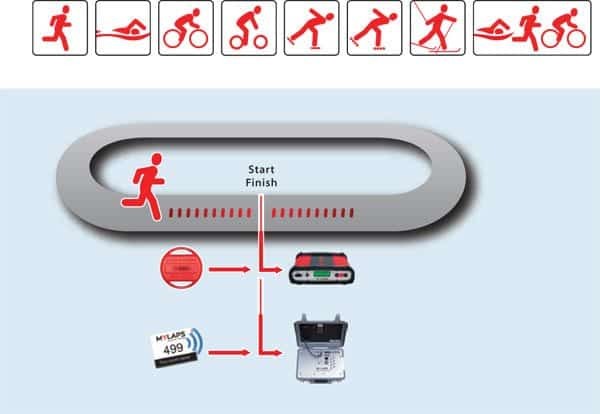 Remote timing points such as 5k/10k splits or similar. Cutting edge equipment, built by world leaders in sports timing for extremely reliable results detection. DB Max Sports Timing can also handle online entries, race fulfilment, medals and everything needed to service the needs of any event. DB Max Sports Timing can provide everything from basic finish results to a fully tailored results service to suit your requirements. As event organisers ourselves, we know exactly what is involved in planning and preparing for the big day and so can fit in seamlessly with your race day plans. If you’re looking to add a professional edge to your event, click HERE for a competitive quote. DB Max Sports Timing are experienced in working closely with our clients to deliver their chip timing specifications exactly as required. 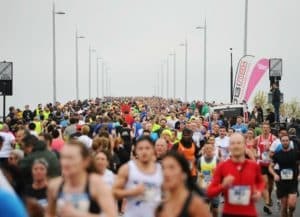 We work with partners, such as the award winning Ealing Half Marathon, Southampton Half Marathon, Swansea Half Marathon, Cisco Systems, VU Ltd, Activity Wales and Bloodwise UK London to Paris, and ensure that all aspects of the timing service are seamlessly integrated into the event results service.